I love chicken salad but I am a bit picky with how it is prepared. 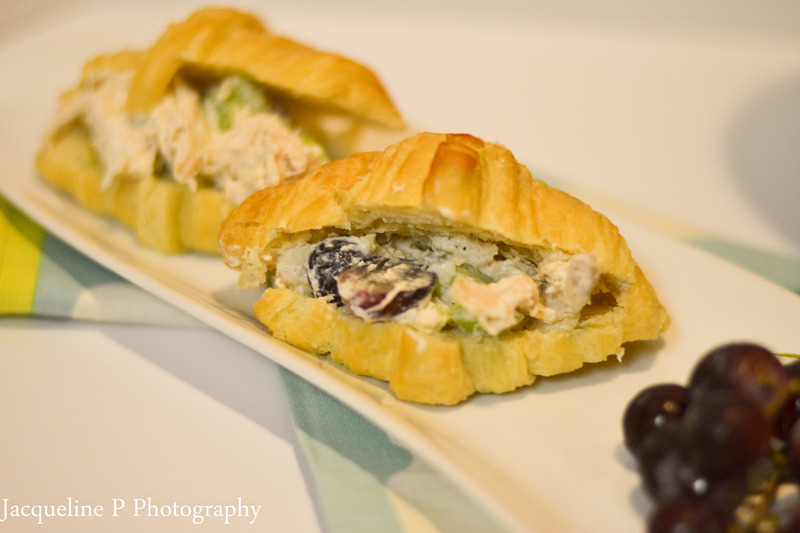 As surprising as it may be I have never tried my chicken salad with grapes.. **GASP** But to my surprise I really enjoyed it. This recipe is very simple recipe to make and makes great leftovers for lunch the next day! combine the chicken, celery, grapes and green onion to a large bowl. In a separate small bowl , add the mayonnaise, sour cream, pepper, salt and lemon juice. Whisk together until combined. Pour the dressing over chicken/grape mixture. Slice croissant in half and scoop a good portion into each croissant. Enjoy! !